Tyler Myers, Sabres. The 6-foot-8 defensemen didn’t need much time to make an impression after he was a first-round pick in 2008. He won the Calder Trophy as the NHL’s top rookie in 2010. But his play slipped after a while and eventually he was dealt to the Jets. Others: Lucius Sanford, Bills; Lorenzo Alexander, Bills; Steve Heinze, Sabres. Missed any of the previous numbers from 99 to 58? 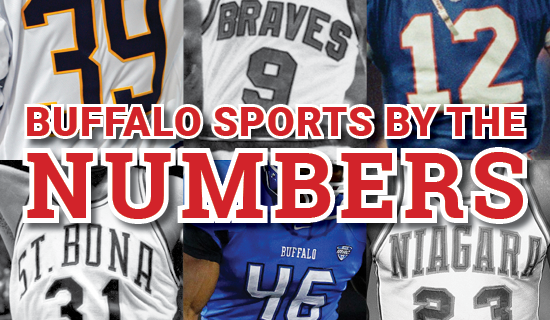 Visit the Buffalo Sports By The mbers section on the home page.